HP have finally released the brand new HPE Microserver Gen10. While it was originally announced online a number of months ago we finally have some UK pricing. The Microserver Gen10 is launching with two entry level versions (one diskless) and a single performance model (also diskless). Lets have a look at the specifications. Personally i’m quite excited by this new release. The unit looks great and retains the small footprint of the earlier models while packing far more power. 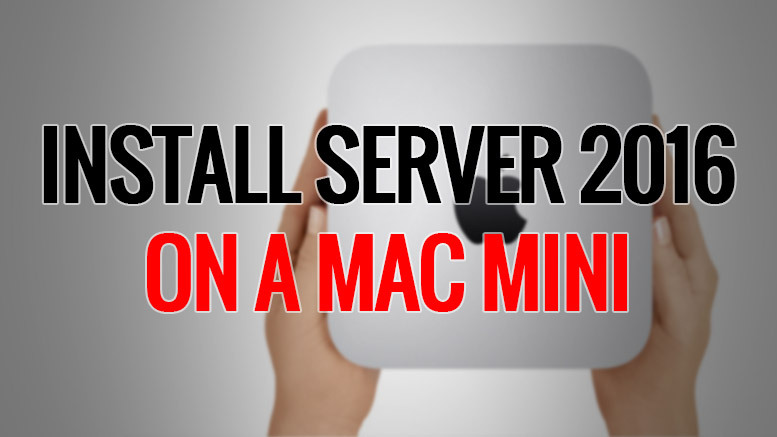 Could this be a viable replacement for my current stack of Mac Minis? 8 HPE ProLiant MicroServer Gen10 Cashback? 9 Would I Buy One? 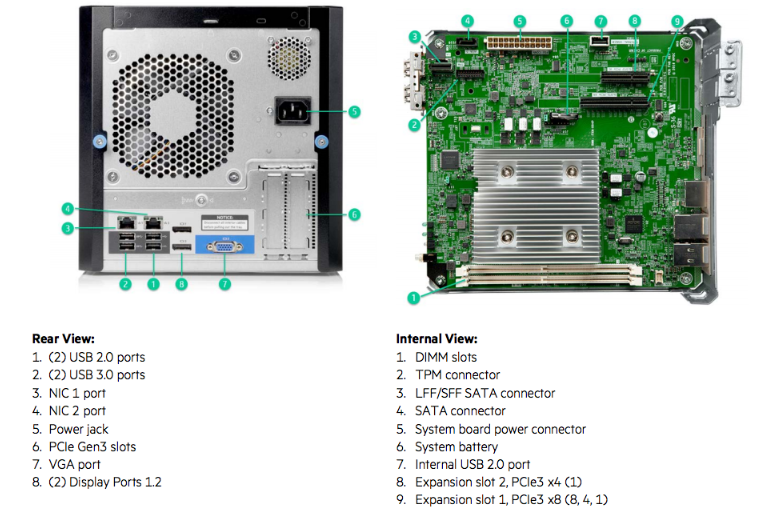 This is the entry level model and is the equivalent of my G1610T based Gen8 MicroServer. This is identical to the diskless base model above except it ships with a 1TB and a copy of ClearOS pre-installed. This is the uprated model with a double the CPU and GPU cores. It also features 16GB memory as standard which is a really welcome addition to the range. One of the big surpises is that HPE have gone back to the MicroServer roots and picked AMD archetecture to power the Gen10. At launch there are two different CPU options (a 3rd, mid range is in the specifications, but no release date fixed for it yet). I’m not that up on the latest generation Opteron specifications and how they compare to Intel’s offerings but i’m assuming that they’ll fall in line with the Gen8 models, with the base model the equivalent of the Celeron, the (as yet unannounced) mid-range model the same as an Intel i3 and the top end a basic Xeon. HPE sure have listened to the community because they have designed the Gen10 to support a single SSD as a boot drive. No more messing around with electrical tape and cable ties needed! 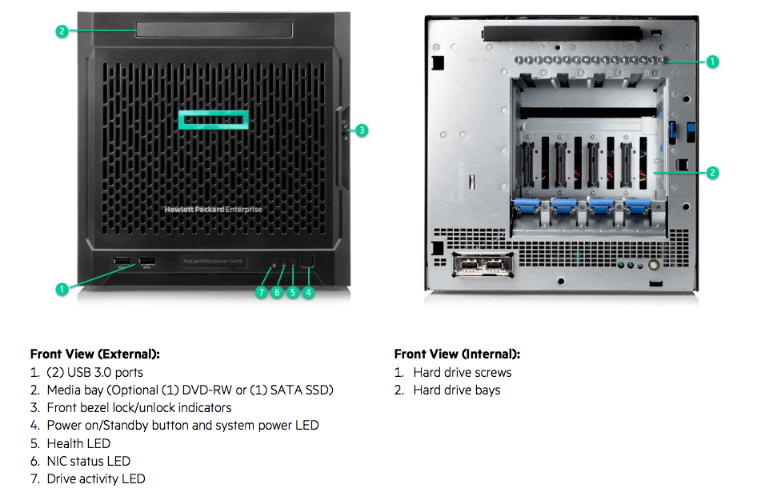 The inclusion of ClearOS in the 1TB models is a clear indication that HPE are looking to change the perception of the little servers and get businesses to treat them more like an appliance. The ClearOS system looks like it’ll be ideal for less technically minded businesses or those without dedicated IT. Once i’ve had a proper play with it i’ll post my thoughts. 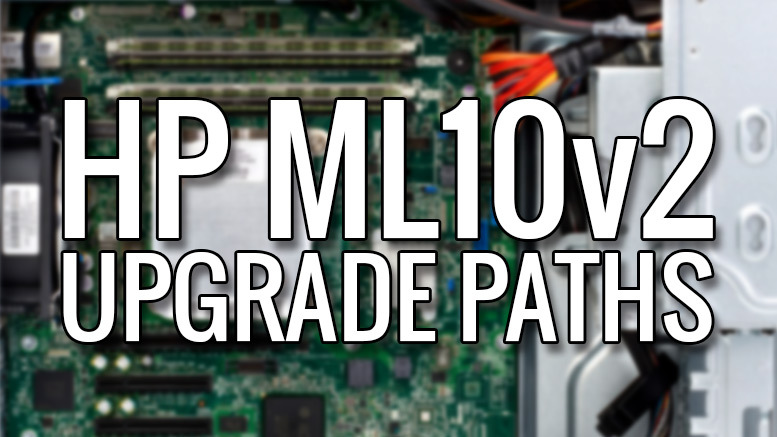 The move to AMD CPUs is an interesting one, taking the MicroServer back to its roots. 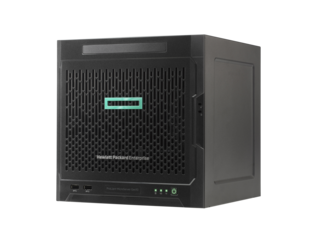 HPE clearly have great confidence in AMDs new offerings and these are the first machines that i’ve seen on the market with the x3000 series of Opterons installed. The extra PCIe port is another welcome addition. The two PCIe ports also feature a groove cut into the back of them that allows you to run x16 cards in the x8 and x4 slots, although at a reduced speed. The MicroServer also supports double the maximum memory of the Gen8 – this is going to be great for the IT home lab market. Coupled with the top end X3421 CPU this should be perfectly adept at running all but the most intensive home lab setups. One thing that’s immediately obvious is the lack of HPs iLO from the Gen10. While not a killer feature on the Gen8, I did find it incredibly handy on some occasions, especially when troubleshooting the unit. If HPE are targeting more of the SOHO market with the Gen10 then I think its omission wont be too much of a problem in the long run. I think that the launch pricing of the MicroServer Gen10 is pretty much spot on and is very much in line with the Gen8 offerings. I think it will be interesting to see where the mid-range offering sits given that the base unit is £383 and the top end unit is £558. I’d expect the mid-range unit to sit around the £479 mark. 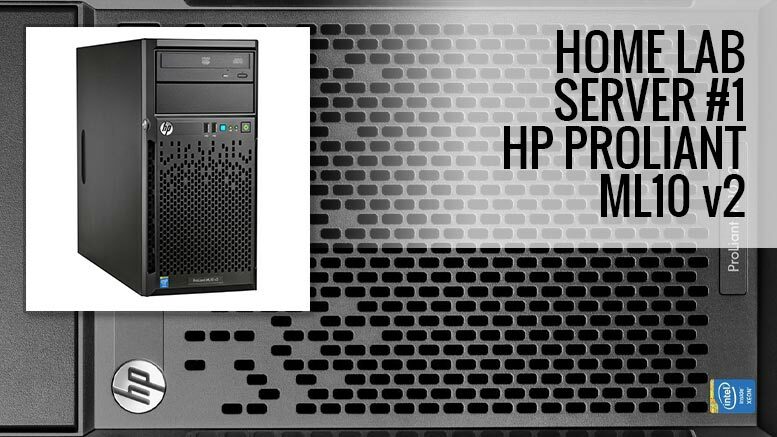 HPE ProLiant MicroServer Gen10 Cashback? While HPE are very agressive with their pricing on the Gen8 I can’t see the base model of the Gen10 being available with cashback for some time yet. HP have confirmed that £50 cashback is now available on the Gen10 – check out my HP MicroServer Cashback page for claim instructions. Yes I probably will, but not just yet. Although HPE are stating that the Gen10 MicroServer is available via its channel partners, i’ve not yet seen it available for purchase yet. My supplier of choice – serversplus.com have a sales page available but no details on when it’ll be purchasable. I’ll update as I know more. Hi Gary, one model is now available to purchase @ https://t.co/0w7HptTJk1 – No word of cash back on this model at the moment though. 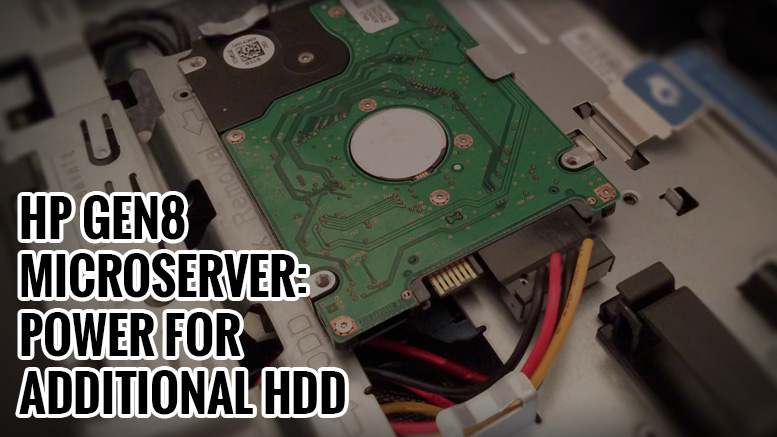 This is the diskless base model with the AMD Opteron™ X3216 and 8GB RAM. No cash back is available on the Gen 10 units yet (and I doubt there will until the Gen 8 stock runs out). The current retail price of the MicroServer Gen10 is around £220 including VAT and delivery (significantly below the guide price of £383+VAT). This is equivalent to the base level Gen8 Microserver on launch (before cash back). I’m hoping to pick one up in the next couple of months once the higher spec models are available in the UK. 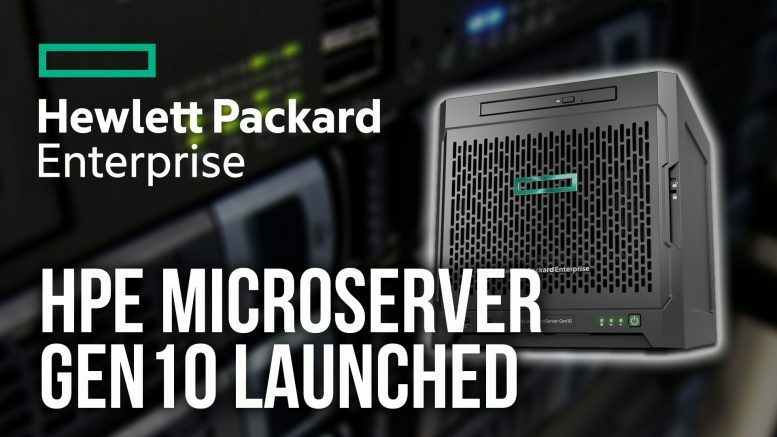 1 Comment on "HPE MicroServer Gen10 Launched"
Thanks for this article. I’m interested in this Micro Server. But i didnt find any information about the compatibility of the AMD Opteron X3216 to Microsoft Hyper V. Do you know, is it compatible? I’s searching a cheap new Server for my HomeLab, and the Micro Server would just be great.